We asked Dr. Joyce Harman to contribute this guest blog post on forage. In 1990, the Virginia veterinarian opened Harmany Equine, bringing holistic healing to a wide range horses, from backyard retirees to Olympic competitors. In 2001, Harman wrote the first peer-reviewed paper on equine insulin resistance. In 2004, she published the first comprehensive book on English saddle fitting since the 1800’s. The Western version followed in 2006. Tune in July 9 at 8 p.m. EST for a forage webinar with Dr. Joyce Harman. Click here to register. 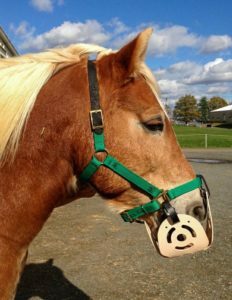 You can win a free Harmany Equine muzzle by messaging us on Facebook. 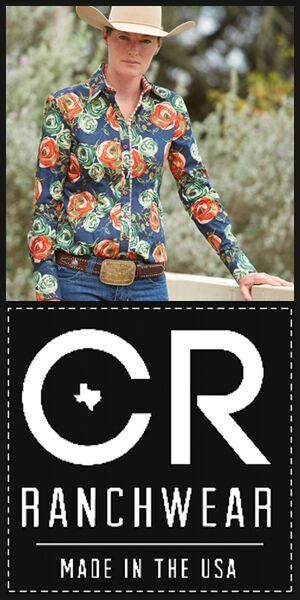 Check out our BestHorsePractices and NickerNews facebook pages for details! The average horse should eat one to two percent of his body weight each day in forage. But not all forage is created equally. Though horses are designed to graze 20 hours per day, they have not evolved to gorge themselves on the sugar-rich grasses we have today. Even some hay is too high in sugar and/or protein to feed free-choice. Add in concentrated grain, and we’re just begging for health problems with our horses, although forage feed can be an option. Graze when sugar is lowest in the morning, on cloudy, rainy days or overnight when fructans (sugars) are lowest. Keep in mind that the sun increases the sugar in grass, so sugar is highest in the late afternoon on a sunny day. Contrary to what we might think, drought or over-grazing increases the amount of sugar in grass. Though sugar content is more dependent on environmental factors than grass species, native grasses are typically lower in sugar. Be Hay-Smart: Sugar content may be lower in hay than grass, but the amount can still vary greatly depending on the type of hay, how it was fertilized, and even what time of day it was cut. Get your hay tested. Read more here. Not all hay should be served free-choice. Even some rich grass hays should be fed in several feedings throughout the day. Slow-feeders for round bales or hay flakes are a great way to keep your horse “grazing” without eating too much. Grab a Muzzle: Muzzles allow a horse to exercise and socialize (essential equine behaviors) without over-grazing. The Harmany Muzzle is totally customizable, from molding it to a horse’s head shape to determining how much, or how little, grass is available to each horse. It is made of a medical grade plastic with Kevlar fibers, making it lighter and more durable than other muzzles. Click here to learn more. Concentrates, or grain, are only needed to make up the difference in calories between forage and what the horse needs to maintain weight. Horse owners should consider the horse’s metabolic rate (thoroughbreds have a higher metabolic rate, and therefore need more calories) and workload before adding grain to a horse’s diet. Want to learn more? Register for the free “Forage Facts” webinar tonight! 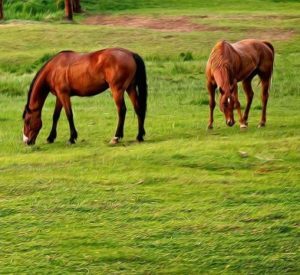 In this webinar, participants will learn more about the ins-and-outs of forage, and how to safely fuel their horses year round. Click here to register. 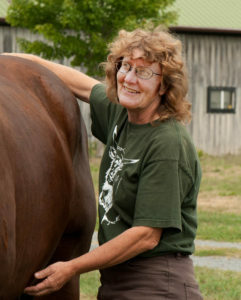 Posted in Health, Reviews and Links and tagged benefits of forage, forage expertise, Harmany Equine, Joyce Harman.